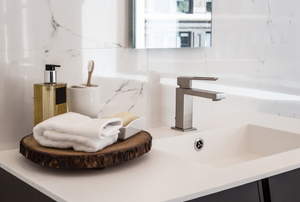 What's Trending in Bathroom Design? If you're looking to add value to your home, the bathroom is one of the best places to start -- and it doesn't have to be huge changes. 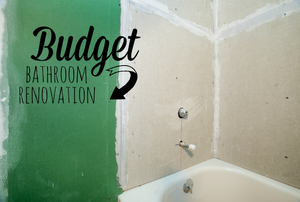 Updating your bathroom can give great return on your investment -- but that doesn't mean you need to invest a lot. 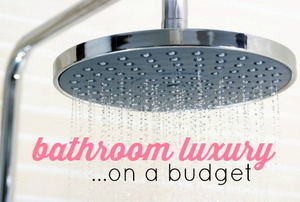 Luxury is within reach using our affordable bathroom design tips. 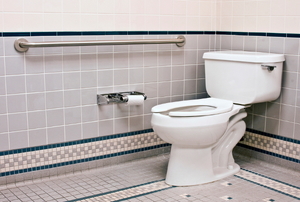 6 ways to make your bathroom accessible to all. How to make the most out of your bathroom upgrades. Read this important design advice for your half-bath. 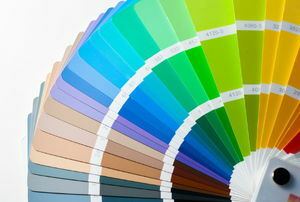 Read this article for advice on creating a bathroom color scheme. 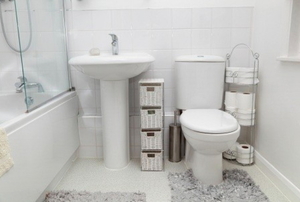 Read this advice on planning the design for a small bathroom. 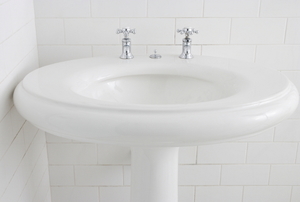 Try these tips to make your small bathroom feel larger. 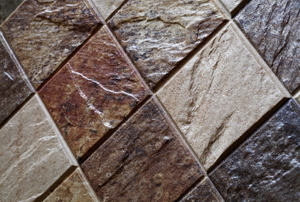 Read this article for advice on installing bathroom wall tiles. 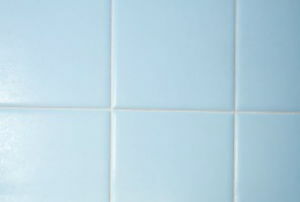 Follow these steps to tile a bathroom wall. 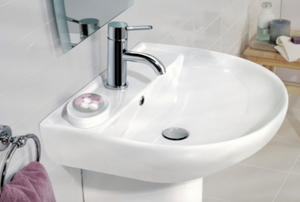 Read this article for advice on contemporary bathroom design. Follow these steps to design an L-shaped bathroom. 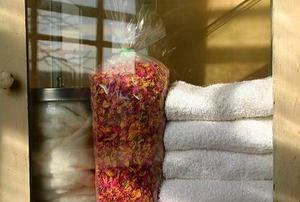 Read this article for advice on bathroom storage solutions that are often overlooked. Follow these steps to design a half bath that is both functional and beautiful. The only limit to your shower tile design is your imagination. 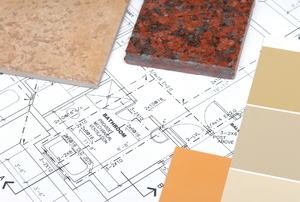 Read this article for advice on planning your shower tile project. How Much Space Do I Need to Add a Half Bath? 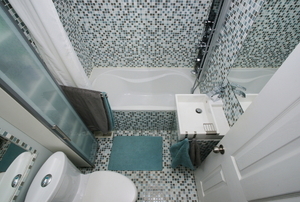 Read this article for advice on the necessary space for a half bath. Read this advice on practical bathroom design. If you want to decorate your bathroom with tiles, you'll need a winning design. Find inspiration with these tile design tips. Can I Add a Half Bath if I Have Slab Floors? 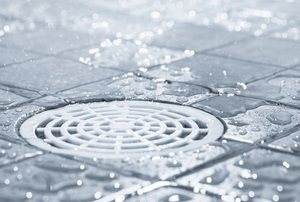 Read this quick information on half baths and slab floors. 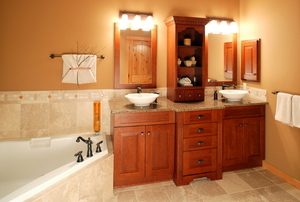 Read this quick information on half baths. 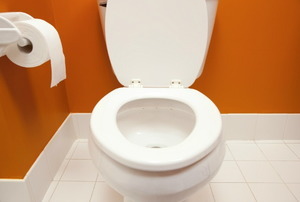 Read this advice to learn common mistakes to avoid when designing a new bathroom.